Oh Ayantee, how I love thee. 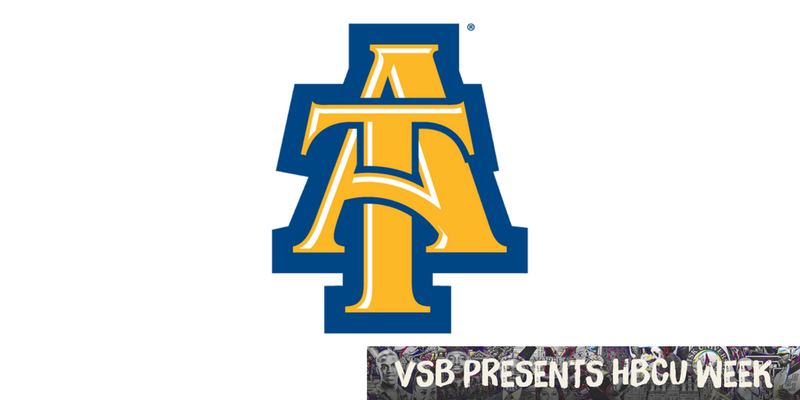 I love you because you loved me when I arrived not remembering that both my grandparents attended Ayantee when it was A&T College, not University, and that I was standing on the backs and prayers of my ancestors and that my mother worked there as well. Not remembering who I was because I was socially maladjusted and broken from a high school that didn’t understand the hue of my skin, did not understand that there was a queen in me, did not understand that the shackles had been broken and still tried to keep me bound. Ayantee created a sense of family for me. A family that was not blood but family. I can remember arriving for summer school, and I didn’t have a pen to sign into the dorm, and Dr. Rashid would not allow me to borrow one. The lessons for me began as soon as my feet hit the dirt. Failure was not an option. Her point was that this university owes you nothing, and there will be many times that you need the basics—learn to carry them. Or it could have been Dr. McManus when I told him I was not good at math, hoping he would help with my statistics, and he told me what time the labs opened and closed and told me “I’m expecting an A.” Failure was not an option, and hard work became my DNA. It could have been Dr. Mac or Thorpe, who were from the “ol’ school,” and coming in late earned you zeros. God used Ayantee to become reacquainted with me. I was still active in church, but because of life’s turmoils, it seemed as if I was just going through the motions. He used Ayantee to shape me, to mold me and to teach me to trust again. To teach me how to love, especially to love myself. To teach how to take correction and turn it into a blessing. How not to wallow and have pity parties when things didn’t go my way or papers were returned with low grades, and how to go back to that professor, pull myself up by the bootstrap and do it again. To teach me how to network with others, to learn how to build an empire from the ground up. To teach me how to keep pushing when I wanted to give up. To teach the truth of stamina and endurance. I learned to make a parking space anywhere and that sadly, Officer Feaster still worked in the rain, placing citations in ziplock bags to prevent them from getting wet. The best thing I learned was how to support and embrace me for me and who God created me to be—to love imperfect me. Oh Ayantee, although I didn’t choose you first, you were the best teacher a gal could ever have. We have a requited love: I will always love you and you will always love me. Thank you, Ayantee. Lakisha Tucker is a mother, wife, friend and sister and a native of Greensboro, N.C. She attended North Carolina Agricultural and Technical State University, where she received two undergraduate degrees: psychology and special education. She later received a master’s in mental-health counseling from Capella University. She was honored to be called to preach and did her initial sermon on April 12, 2015, at United Institutional Baptist Church.